PUNE: In yet another incident of violence against the medical fraternity, a city-based gynaecologist was assaulted by a gang after he reportedly refused to perform an illegal abortion. 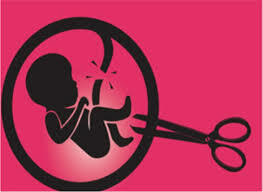 The incident occurred in late night in Pune’s Sangvi area after Dr. Amol Bidkar, a gynaecologist-pregnancy doctor with the Sakhi Maternity Centre, was attacked with a long-bladed weapon (koyta) after he refused to terminate the foetus of a young woman in the fifth month of her pregnancy. “A man had approached Dr. Bidkar a fortnight ago to perform the operation, but he refused on grounds that it was illicit as the foetus was more than 20 weeks old. On Saturday, at around 9 p.m., a gang of ruffians led by the man broke into his clinic and pressed him to reconsider. One person stood outside the doctor’s cabin while one stood out on watch outside the clinic. When Dr. Bidkar flatly refused, he was assaulted with a sharp weapon and sustained injuries on his shoulder. Fortunately, he is out of danger,” said Dr. Pradeep Nanaware, president, Sangvi-Pimple Gurav Doctors Association. He said that the attack was typical of a spate of incidents since last year where doctors were targeted, either by the unruly kin of patients or by out-of-control persons whose unreasonable demands were refused by medical personnel. On Sunday morning, a number of doctors from the Sangvi-Pimple Gurav Doctors association gathered at the Sangvi police station and demanded that the miscreants be nabbed immediately. A complaint has been lodged under relevant sections of the Indian Penal Code (IPC). Last year in July, irate relatives of a deceased patient had savagely assaulted two resident doctors in the city’s Sassoon General Hospital, accusing them of ‘negligence’. The incident provoked a storm of condemnation at the time with the Maharashtra Association of Resident Doctors (MARD) castigating the State government for paying scant attention to the security of resident doctors and calling for a strike which paralysed medical services in Pune and Pimpri-Chinchwad for nearly a week.